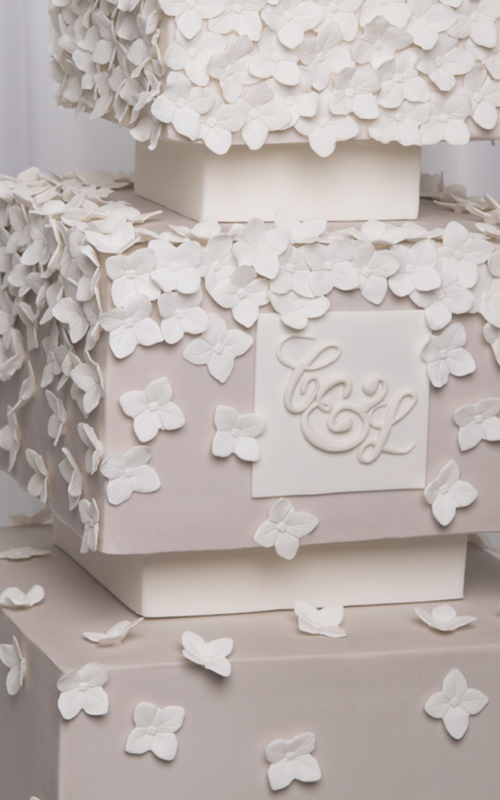 square wedding cake - custom bespoke design 3 tier monogrammed cake. 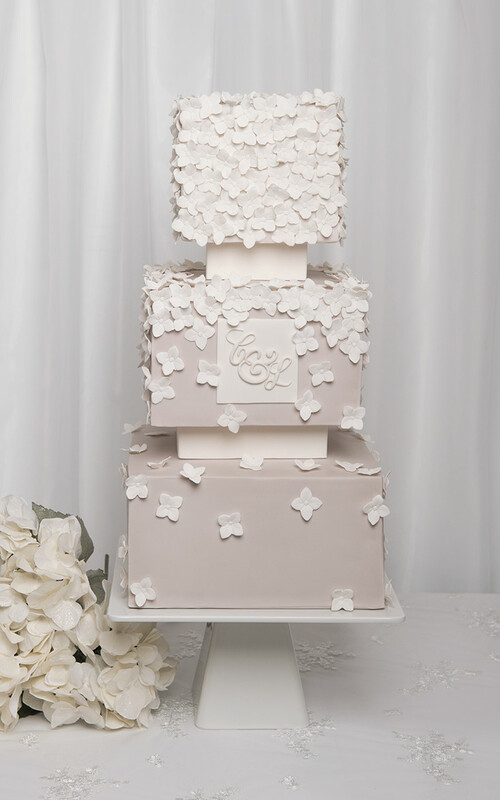 Hydrangea Square Wedding Cake – A modern 3 tiered square wedding cake in a chic shade of taupe with white floral accents. 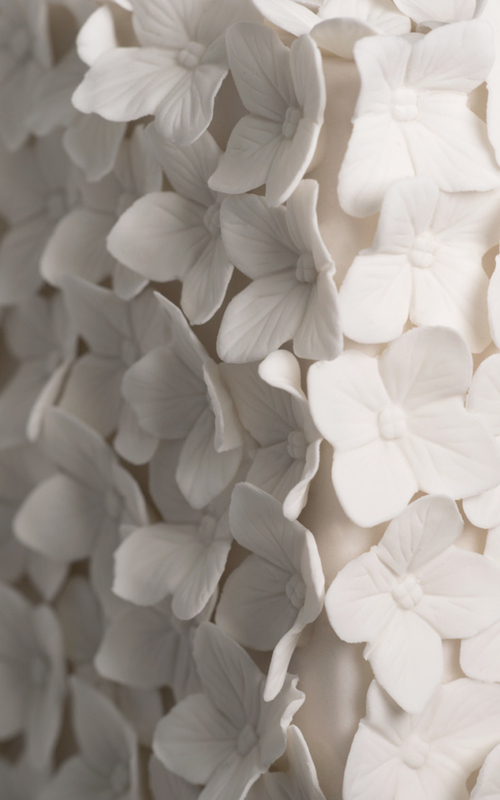 Hundreds of delicate hand crafted hydrangea flowers tumble down this cake in a windswept pattern. Along with its sharp edges and modern silhouette, this design is also elegant and romantic.